Until this time, it has been a continuous issue and argument whether Basic Mountaineering Course (BMC) should never be missed out by every outdoor man. Some say that you are not really a mountaineer if you haven't undergone such training. Honestly, I've been to more than fifty mountains, both major and minor ones, before I was able to take this chance of attending one. My claim before was that, having no BMC shouldn't be an issue to me since I get to learn gradually the essentials of outdoors through actual participation and exposure in the climb. Besides, I can always surf the internet if I want to do some research. 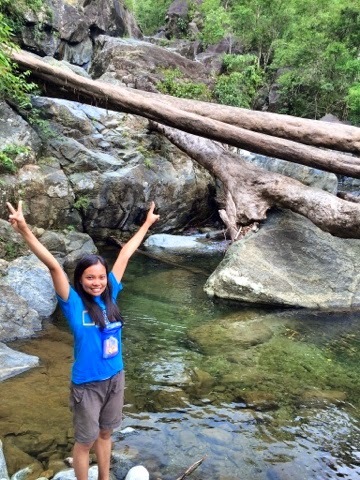 Yet after attending this seminar sponsored by Let's Unite All The Climbers in the Philippines (LUCP), I've realized many things and was more enlightened about the outdoors. Over a month ago, buddy Dennis told me about joining the said BMC. I couldn't refuse as it was actually our plan to attend such kind of seminar even before but just happened that it did not match our schedule. This time, I knew we'd make it. This BMC seminar was initiated and was made possible by Sir Bong Magana, one of the administrators of LUCP along with the help and support of his team and other mountaineering friends. Held in Mt. 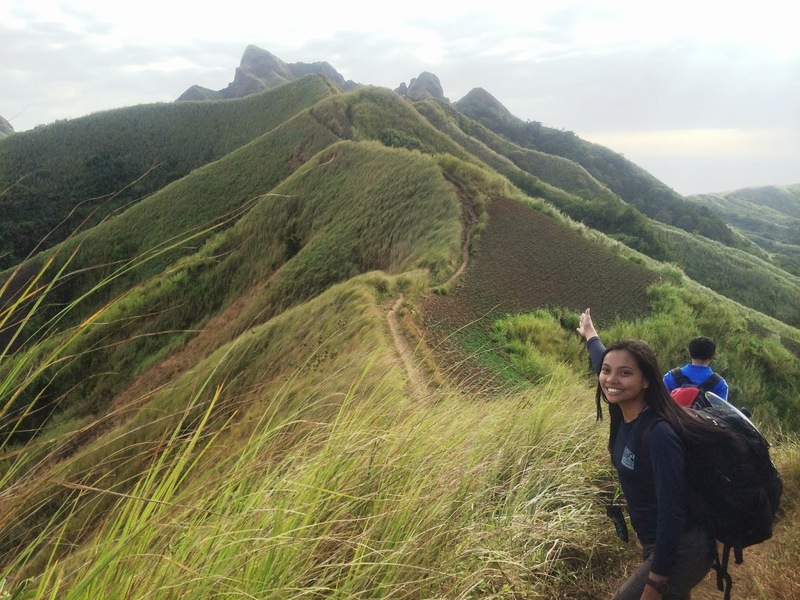 Manalmon last August 16-17 2014, it was volunteered and facilitated by those people with good names and great experiences in mountaineering. 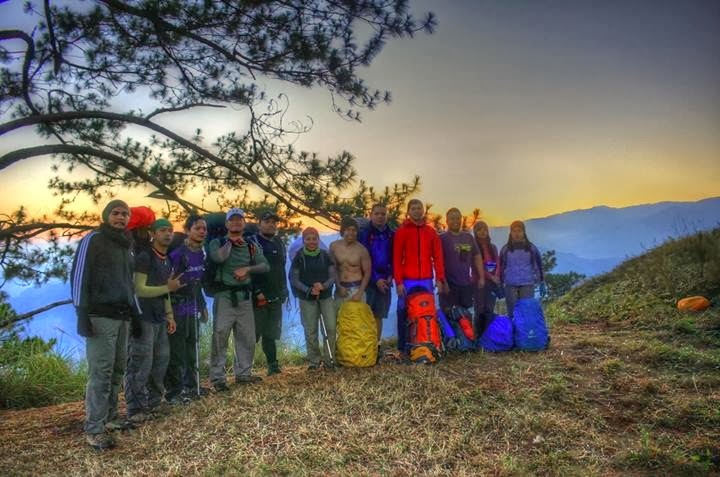 LUCP is a mountaineering community/page in facebook where various climb-related matters are discussed by its members. By the way, because of some concerns, Buddy and I were not able to come early so we missed the first session which I think is about planning and preparation (sadly, the very basic). The seminar had some other courses which I would be sharing with you in this post. We also did not attended the ropemanship session as we need to go back home the next day as early as possible. Without any further defensive explanation, let me now share with you some learnings I got from the speakers who were eager and generous to share their knowledge. A compass is an essential tool in the wilderness survival. In this session, we were taught how to check and gather one's bearings. We were given some exercises. I have also learned that a map won't be useful without the accompaniment of compass. Yeah, I guess I need more exercises on this. Well, I don't know what I've been doing during my "Girl Scout" days that it's like it was my first time to hold and learn how to use the compass. Hehehe. The more insulting part was that I have a digital compass in my phone and yet I've never attempted to use it nor give time to be curious on how it operates. "To minimize the pain and injury and save lives." Similar to any company or institution, a group of climbers doing a particular trek should always have a designated first aider. I believe knowing how to apply first aid is one of the knowledge and skills that a mountaineer should possess since injuries can always happen during the climb. It is necessary and advantageous to be aware of helpful responsive actions in case of ailment and injuries.Two important things before rendering first aid are to introduce oneself first and then take responsibility. Sir Filmann also discussed about the barriers, equipments/tools, hindrances and emergency fundamentals of applying first aid as well as the essentials of a first aider. The topic was quite interesting especially for those participants who aim to bring themselves into the next level of mountaineering. The speaker was no other than a successful Filipino Everest climber (who took the northern trail and the hardest route possible to the summit). And I'm one of those who dream bigger. But it pays to achieve those big dreams because of the challenge of raising money for the climb and the climbing equipments. Apart from this, it apparently requires a far greater level of endurance. High altitude mountaineering is not for everyone. Sir Regie mentioned about assessing one's self first through Mt. Kinabalu climb, it's a 4,000MASL mountain and if you got no problem climbing it, then you have a chance in alpine mountaineering. High altitude mountaineering involves a conditions of glacier problem and the mountain should be above 4,000MASL. Part of his discussion is the records/history of humankind in discovering the highest of the highest mountains in the world. He provided some tips on the best time to hike Mt. Everest and other Himalayan mountains. Mountains in Taiwan, New Zealand and India are among those that he recommended to give out a try because organizing climbs in this countries are at least cheaper than any other. I was inspired by his stories and he even got a frostbite in one of his thumbs. What a passionate climber! He showed to us the alpine climbing equipments and I found it exciting though I realized, "sa dami at bigat pa lang ng gears, ubos na agad ang lakas ko." LOL! Numerous pieces of advice were given in terms of organizing climbs, finding sponsors and finding the right climbing companions. He said, "mountaineering is a shared responsibiliy, so choose your companions in forming the team. The session was made active and creative. We were divided into groups and each group should do a presentation related to the assigned LNT rule. Some performed a drama skit to portray a particular LNT rule, other made something like a Q&A presentation. Others in the room were allowed to raise questions and clarifications. The crucial point about survival is the combined application of knowledge, skills and attitude. Having a presence of mind and avoiding panic can save lives and go a long way in times of survival. If I could turn back time and redo everything, I wish I have attended the BMC seminar like this in the early days of my mountaineering activities before I got to climb a lot of peaks. Being well-oriented of the basic and other outdoor matters before encountering the actual scenarios in the wilderness has its real advantage than having nothing at all. Yes, I got you, there is always an internet to which you can get a lot of information. Just like this, I'm sharing some information and it's actually available right there at your fingertips through your phones or laptops. But I am telling you, being in the actual learning and workshop is better than mere reading a file from the internet or a book. Besides, you can also have a chance to mingle with fellow outdoor people who can give you actual sharing of his/her experiences. You can even know how first aid is actually applied, how a bandage is prepared, how you operate a compass and many more. You can raise questions and get instant clarifications from the resource speaker or instructor in case a resource material failed to discuss a certain matter. Taking the BMC, you have the "actual feel" of everything. I thank LUCP for this initiative and I would like to give compliments on all the efforts to make this event possible. I take pride being part of its first ever batch with a great hope that what we've learned will be properly applied and all wrongdoings in the past will be changed and corrected going forward. Mountaineering is a risky hobby and a dangerous activity. Accidents can happen but if you know and follow the proper ways of doing it, well, you are on the right track and you can enjoy the most out of all the good experiences that mountaineering can offer. Guys, allow yourself to be trained! Be well-oriented about your chosen hobby. Yeah, there's a part 2! LUCP BMC Batch 2 is coming up this September 6-7 at the jump off point of Manabu Peak in Batangas. You may contact Bong Magana or find the LUCP facebook group. This BMC had exciting raffle draw portions from some mountaineer sponsors. Items that were given away include hammock, head lamp and a lot of coin purse. 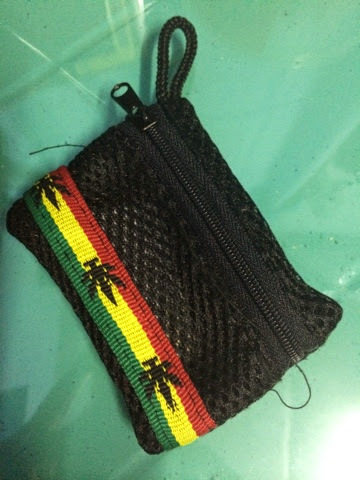 Thanks Tingguian Tribe for this awesome coin purse! Surely it's gonna be useful. Add another adventurous stuff to your bucket list! 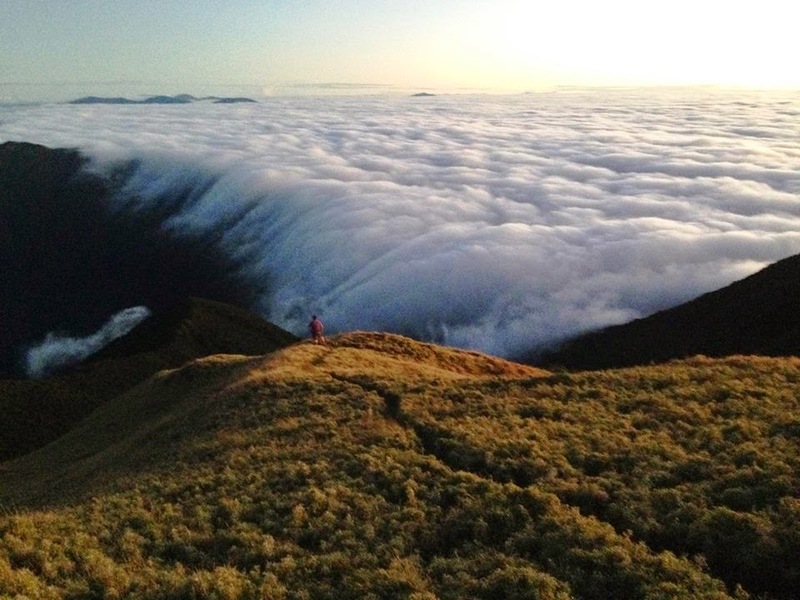 See for yourself the famous beauty of Luzon's highest peak! Meet new friends! And whether you are a newbie or a regular climber of Mt. Pulag for the "nth" time --- Hurry! secure your slot this early, invite your friends, grab your backpack and climb with me! Features of the Climb? What to Expect? Luzon's highest and Country's 3rd Highest. Sea of Clouds (if lucky enough). Pine trees. 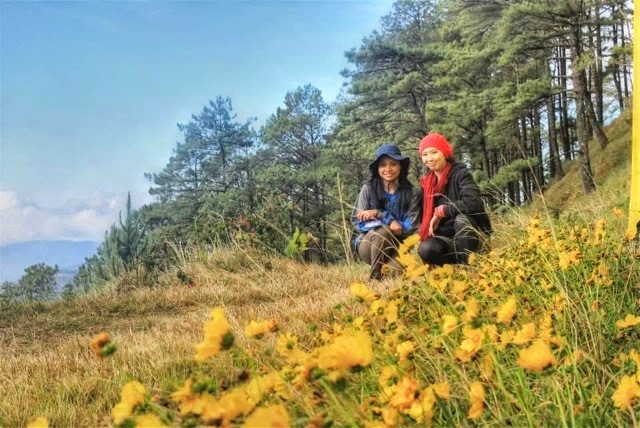 Cold weather of the Cordillera region. Dwarf bamboos. Via Ambangeg trail, which is considered a minor climb and advisable to newbies. For the veteran ones, it's like a "chillax" climb. Contact me ASAP! Send your PMs thru ma.stella.sophia.rivera@gmail.com. I'd like to hear from you soon.